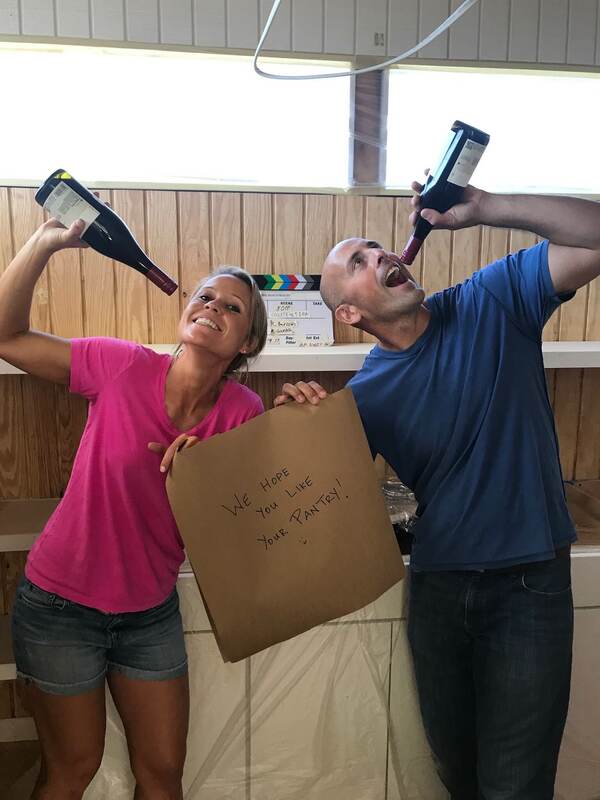 This episode was extra special to me because the house I was working on belongs to one of my best friends! Leslie lives just a couple doors down from me in Bethany Beach – and it’s wonderful to be a few steps away from both her house and a beautiful beach. 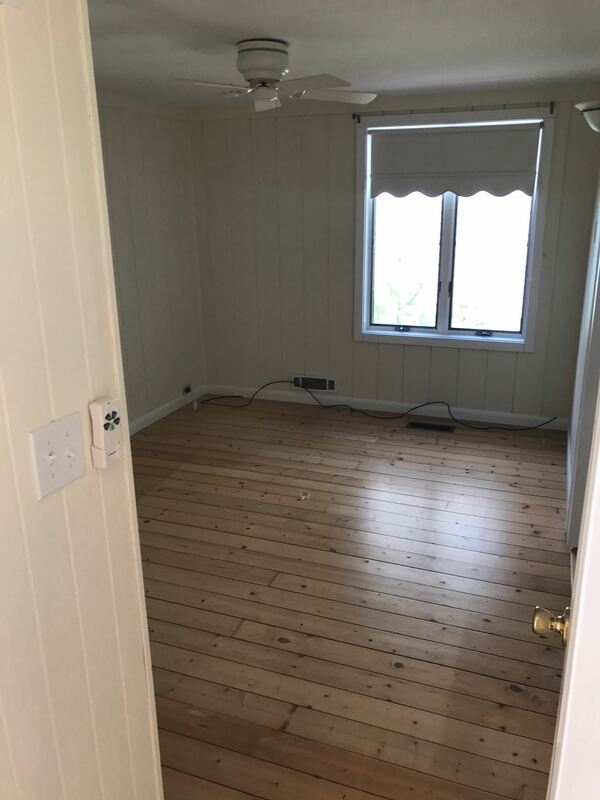 Leslie is a real estate agent in Bethany, so she understands the importance of that old saying, “Location, location, location.” She recently bought this house because it’s only a block from the oceanfront, and she plans to make it her primary home. The only thing is, the house needed an update in a big way. 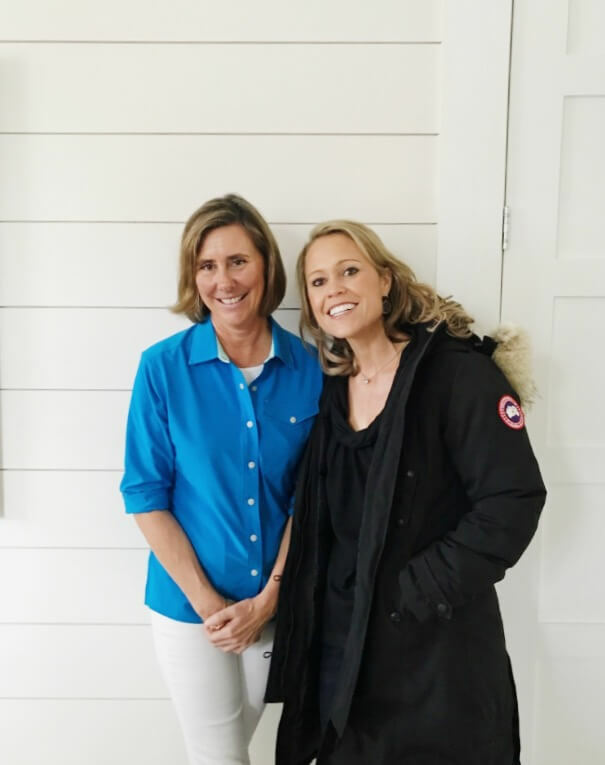 Leslie loves entertaining (and I love being invited to her parties), so we wanted to give her a bright, modern space to gather her friends and family. 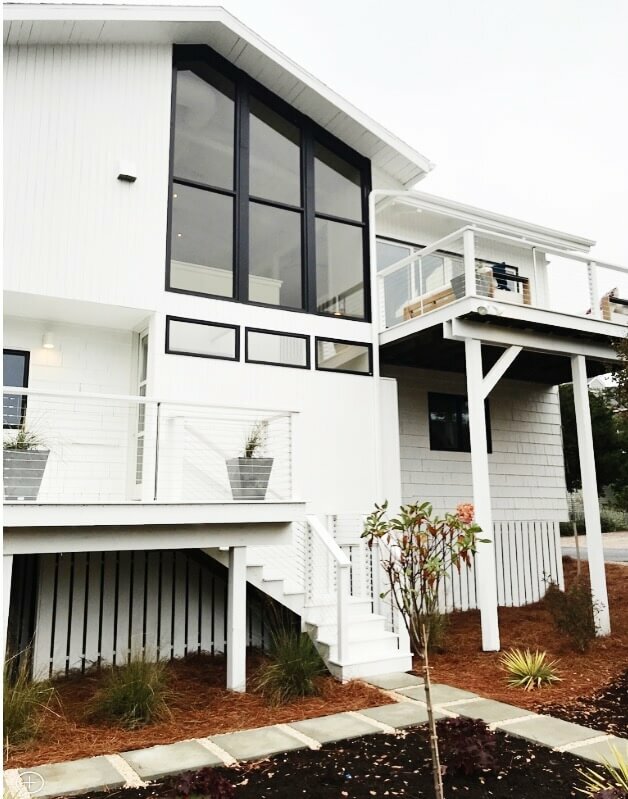 Problem: Repeat after me: brown paint does not scream, “Beach home!” The exterior color made the house seem dark and drab – the exact opposite of what Leslie was going for. And the overgrown landscaping was not at all Leslie’s style and way too much to manage. Solution: It’s amazing what a difference a fresh coat of paint can make. Once I painted the exterior a dazzling white, the house immediately looked bigger, newer and more contemporary. I also tamed the jungle in the front yard, cutting back the wild trees and shrubs for a simpler, more manicured aesthetic. Problem: The house had four bedrooms, but all of them were small and cramped. Leslie only needed three bedrooms, and what she really wanted was an open and spacious master suite. Solution: The four bedrooms were a poor use of space, so I decided to knock down one wall and combine two bedrooms into one big master suite. Leslie also loved the exposed-beam ceiling in the entryway of the house, so I tore out the existing ceiling and rebuilt it to match that same style. During this process, I realized that the ceiling was not level from one corner of the room to the other. There was about a two-inch difference! My team was worried that it was a foundation problem – which can be pretty expensive to fix – but luckily, we checked and that wasn’t it. Whew! 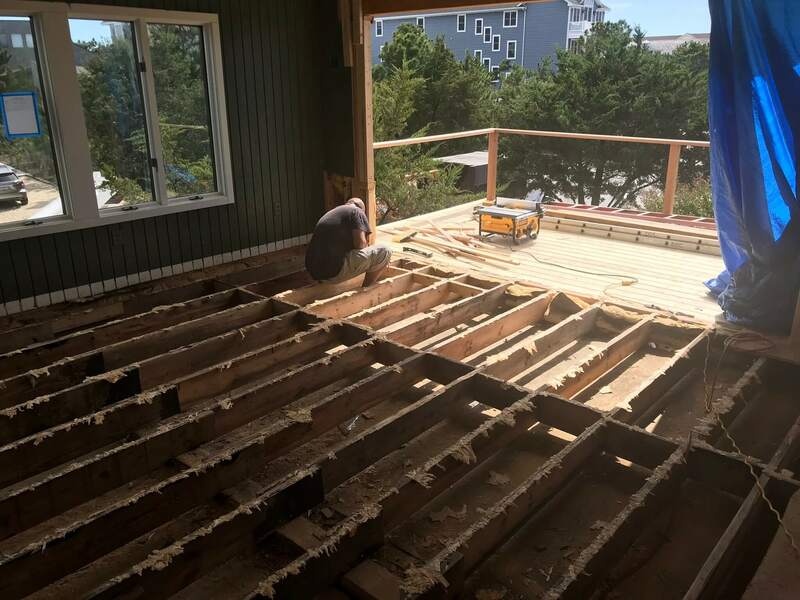 We reinforced the ceiling with laminated veneer lumber, an engineered wood product that’s strong and resists warping, and made sure everything was level and structurally sound. 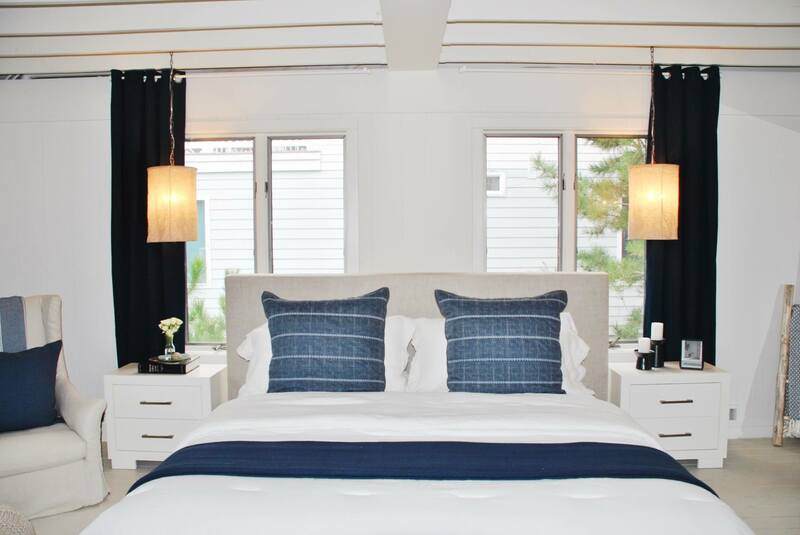 The finished master suite was huge and airy, with a modern, rustic-chic vibe. It’s a place where Leslie will be happy spending a lot of time. Problem: There wasn’t a real master bathroom. The existing room felt like an afterthought – not a place of relaxation and pampering. Solution: I was so excited to transform this bathroom into a chic, spa-like space, and it ended up being one of the coolest bathrooms I’ve ever built. I replaced the sink and tiling, took out the bathtub, and knocked down the back wall to expand the footprint of the room. 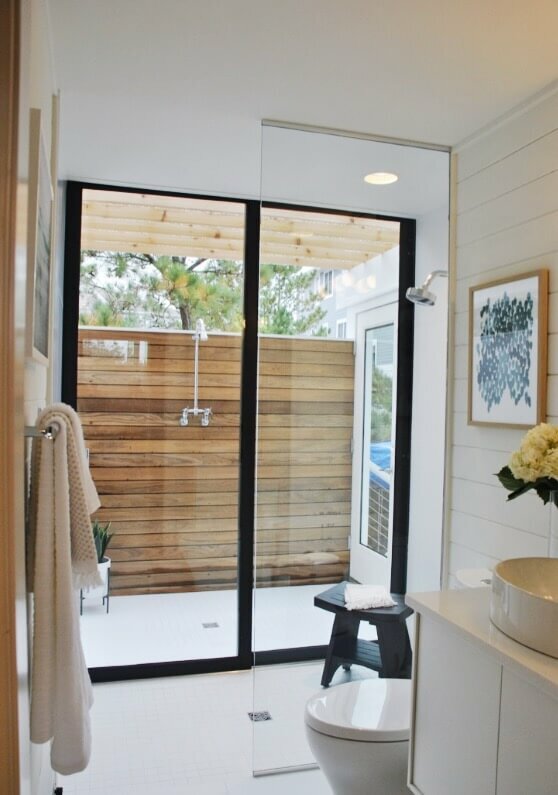 I installed a sliding glass door that leads to a gorgeous indoor/outdoor shower. 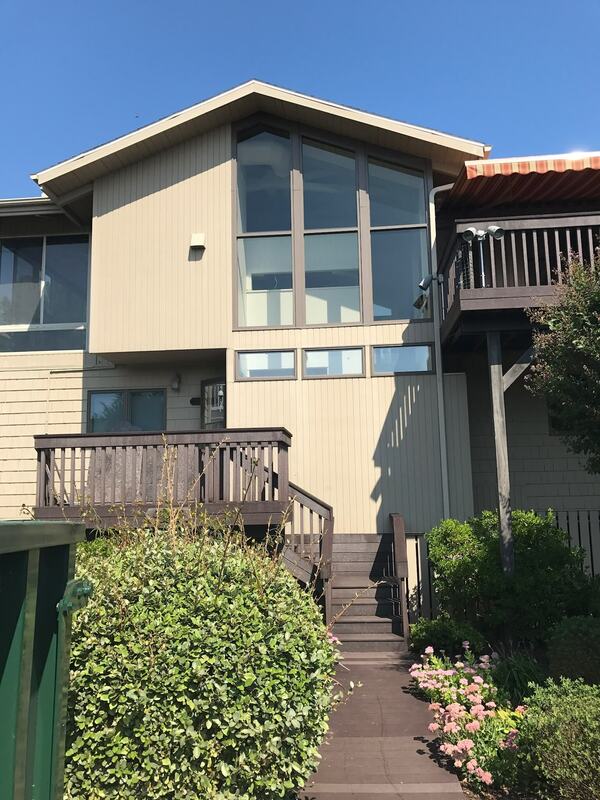 It’s enclosed, so it’s completely private, but it lets in a ton of natural light, and gives you the serene feeling of being surrounded by nature. Problem: Set on the second floor, the kitchen and living room should have been the entertaining hub of the house. But its dim lighting, dark green paint and awkward layout didn’t create a welcoming environment. The kitchen was also already partially gutted, as if someone had started the demo but hadn’t finished the job! So I had my work cut out for me. 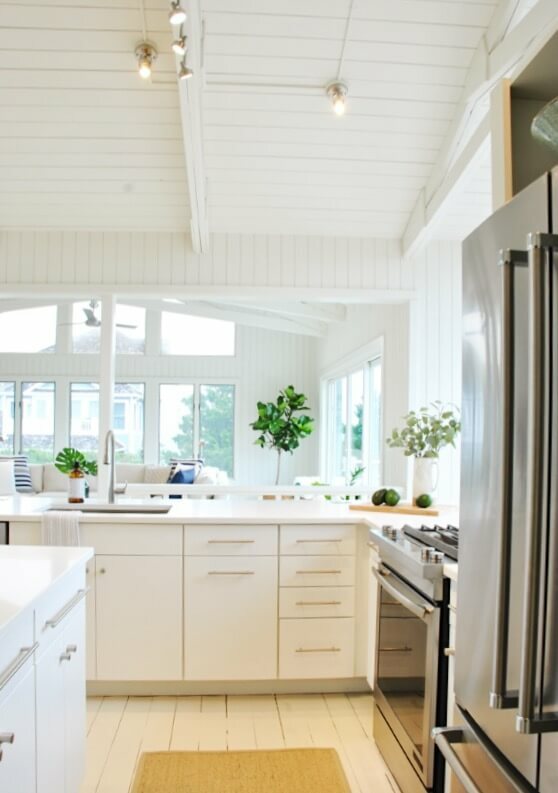 Solution: The old kitchen design was problematic for a few reasons. First, the outdated dark cabinets were right in front of the windows, blocking the view and the sunlight. I tore those out to open up the space, and added fresh white cabinets, quartz countertops, new appliances, a big island and recess shelving. You wouldn’t even know it’s the same room! 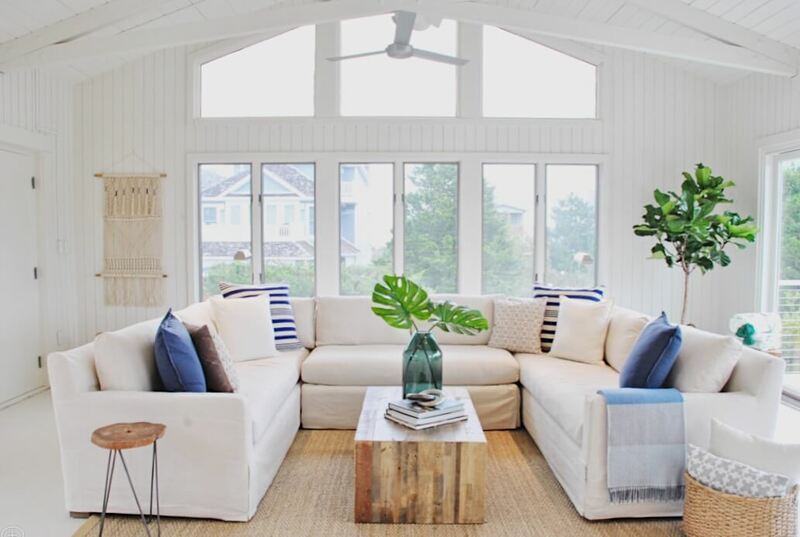 In the living room, I brightened everything up, painting the green walls white, and adding a light, U-shaped sectional sofa perfect for a big crowd. I installed floor-to-ceiling windows on the wall that opens onto the deck – dramatically increasing the amount of light in the room. The floors in the kitchen and living room also turned out beautifully. Leslie wanted to know if the original hardwood floors were underneath the existing laminate, so I dug in to find out. The wood floors were buried deep down, so I brought them back to life with a good sanding, a new coat of paint and a layer of polyurethane for a durable finish. 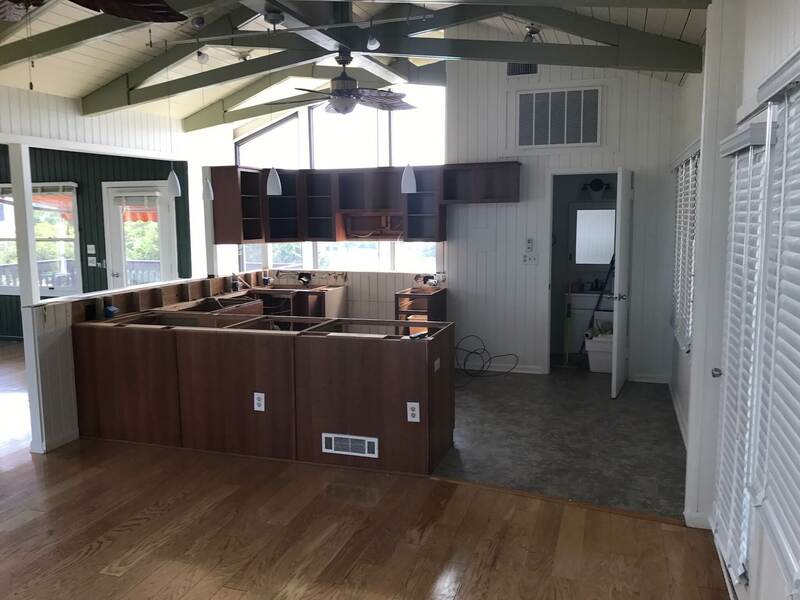 Problem: I knew it was a good move to get rid of the cabinets in front of the kitchen window, but Leslie was worried about the storage space she would lose. My challenge was to keep the open-plan design in the kitchen, while also finding a new place to stash necessary items. 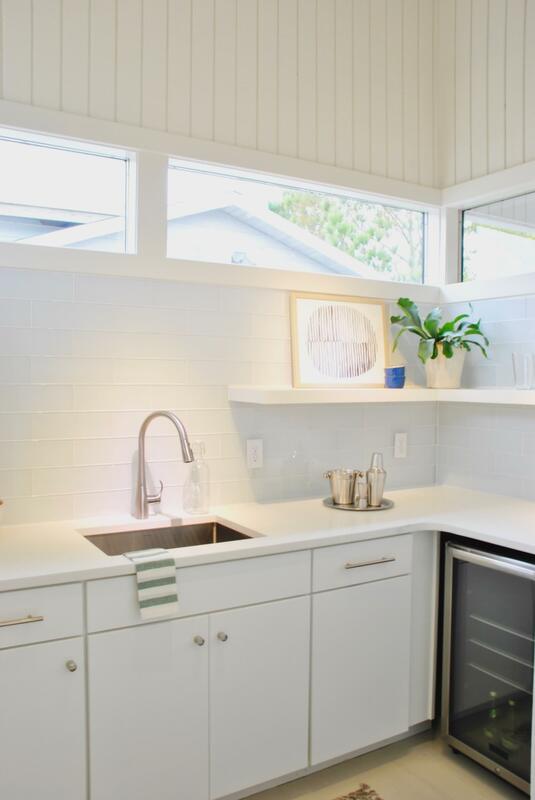 Solution: My first idea was to shift one kitchen wall, converting part of an under-used porch into a storage closet. But the space was a little tight for that layout, so I regrouped and came up with an even better plan! I built out an enclosed butler pantry, complete with ample cabinets, shelves and counter space, plus a sink and a wine fridge. The pantry now offers plenty of storage and prep space for parties. Problem: The main outdoor space in Leslie’s house – the deck off the living room – was not an inviting place to hang out. It had outdated wood railings, a dark awning and a surprisingly gloomy vibe. 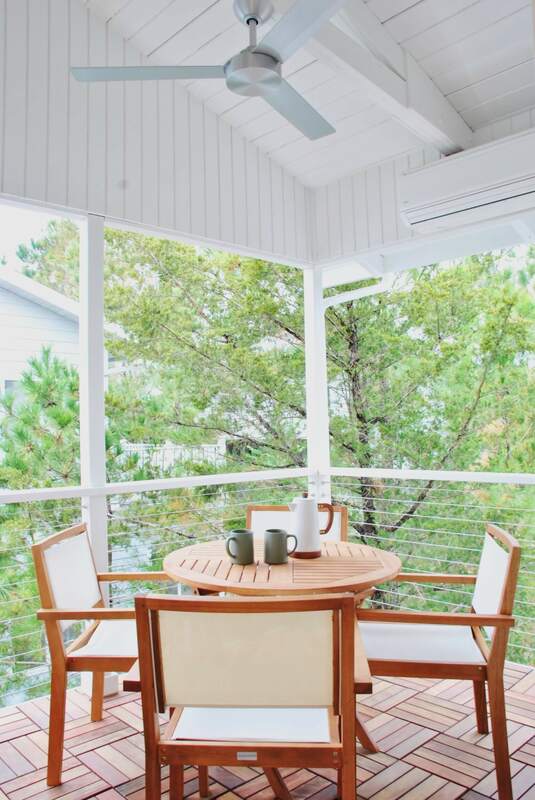 Solution: Leslie and her guests will want to spend a lot of their time outdoors, so we needed to transform the deck into a welcoming hangout. The first change: the awning had to go. We gotta take advantage of that great sunlight! I replaced the decking and painted it white, then set up comfy seating, and switched out the ancient wood railings for sleek cable rails (very modern and beachy). And just like that, the deck is ready to go for summer get-togethers. I was thrilled to get to work on my dear friend’s house, but I also felt a lot of pressure to get it just right. It made me so happy to see her reaction to her new home. Tears of joy, yes! Leslie’s beach house is now a place she can’t wait to share with friends, and I feel so lucky to be there to celebrate with her.